Radical Discovery Kit - Radical Skincare - 4 Simple Steps! 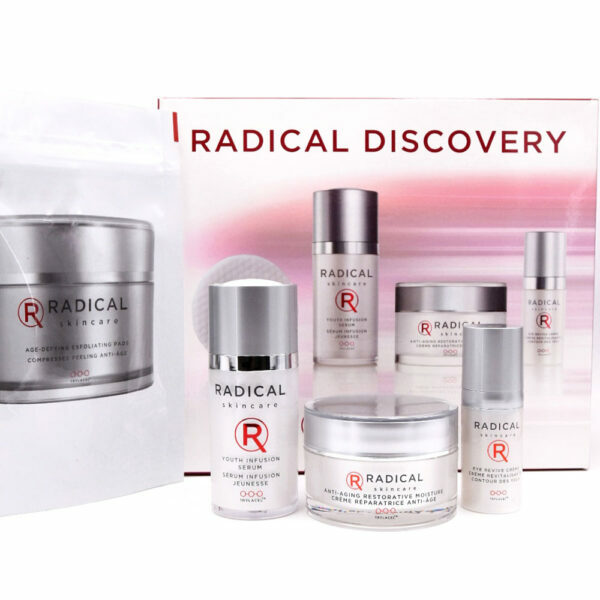 Uncover flawless skin in 4 easy steps with the Radical Discovery Kit. You’ll see and feel results immidiately, the difference is night and day! Start with our gentle yet effective Age-Defying Exfoliating Pads to wipe away dead skin cells with the power packed combo of AHA and BHA. 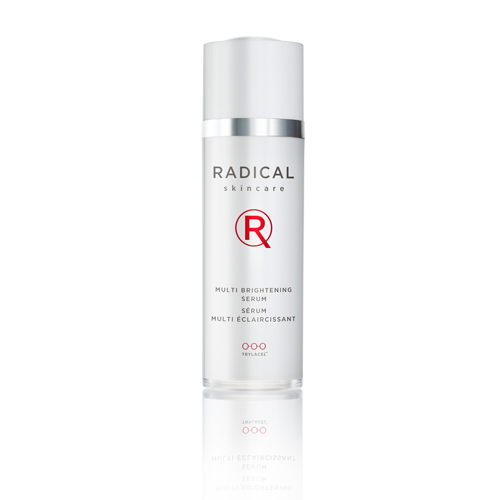 Follow up with the Youth Infusion Serum to energize the newly exposed skin from the peel. Continue to pamper your glowing skin by locking in the serum with the soothing Restorative Moisture. Last but certainly not least, pat the Eye Revive Crème around the delicate eye area. 1. Start with our gentle yet effective Age-Defying Exfoliating Pads to wipe away dead skin cells with the power packed combo of AHA and BHA. 4. Last but certainly not least, pat the Eye Revive Crème around the delicate eye area. -Hylasome: (cross linked Hyaluronic Acid) has 5x the water binding capacity of hyaluronic acid. A unique delivery system for water and a free radical scavenger. -Malus Domestica (Apple Plant Stem Cell): Protects longevity of skin stem cells, delays senescence of essential cells, combats chronological aging, and prevents against UV damage. -Algae Extract (Pullulan): functions as a skin tightener by protecting human fibroblasts from oxidative stress, simultaneously increasing the formation of collagen. -Oryza Sativa (rice) extract: improves appearance of skin by increasing protection and repair from previous UV and oxidative damage. -Pentaglycan: moisturizes skin’s outer layers for a soft and supple complexion. SUCH a great deal! This kit is perfect for the holiday season if you’re stumped on what gift to get. This one will definitely be used up, and make you a return customer… you’re wallet’s been warned:) Great products, all at a great price! Is the key water maintaining substances in human skin. Bad living environment and aging can cause the decrease of HA content in skin, and as a result the water maintaining ability of the skin is weakened and the skin looks dry and rough. Sodium Hyaluronate has high moisturizing and water content reguating function and its solution has high viscoelasticity and lubricity. When HA solution is applied on the surface of skin, it can form an air permeable layer and keep the skin moist and smooth. 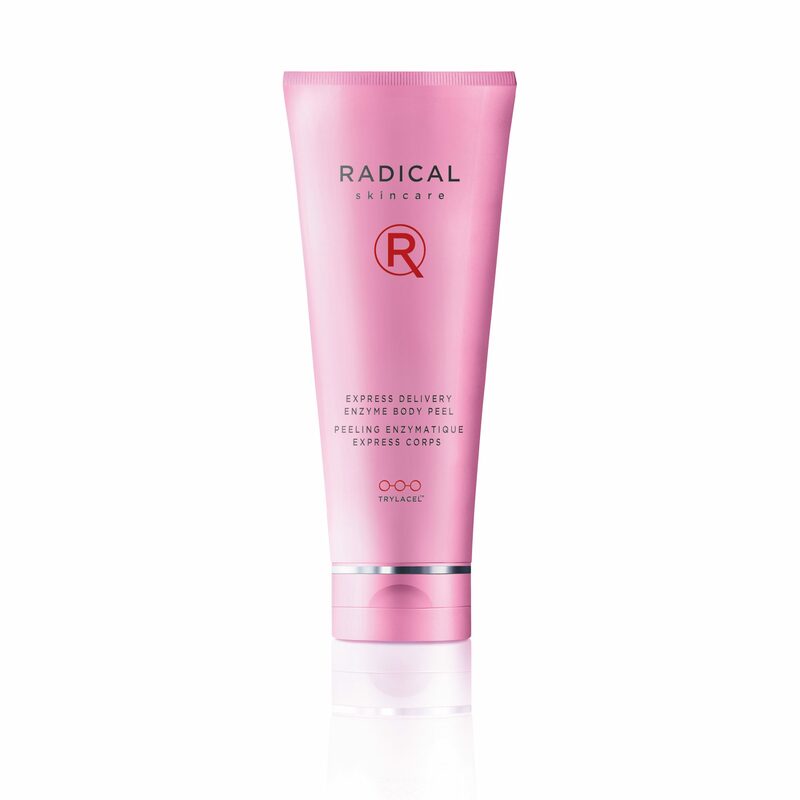 As a result, it plays a role of wrinkle removing, look improving and health protecting. Hylasome- Delivery system for water and a free radical scavenger. It is highly moisturizing, slow delivery of water, safe and more effective than HA (hyaluronic acid). Has 5 times the water binding capacity of hyaluronic acid. 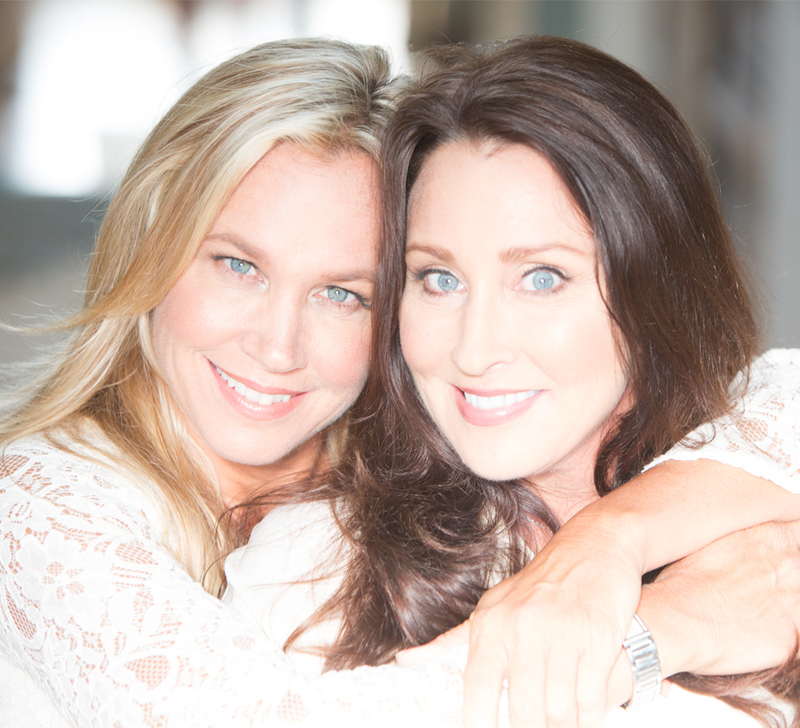 INGREDIENTS: Please see Age-Defying Exfoliating Pads, Youth Infusion Serum, Restorative Moisture, Eye Revive Crème.